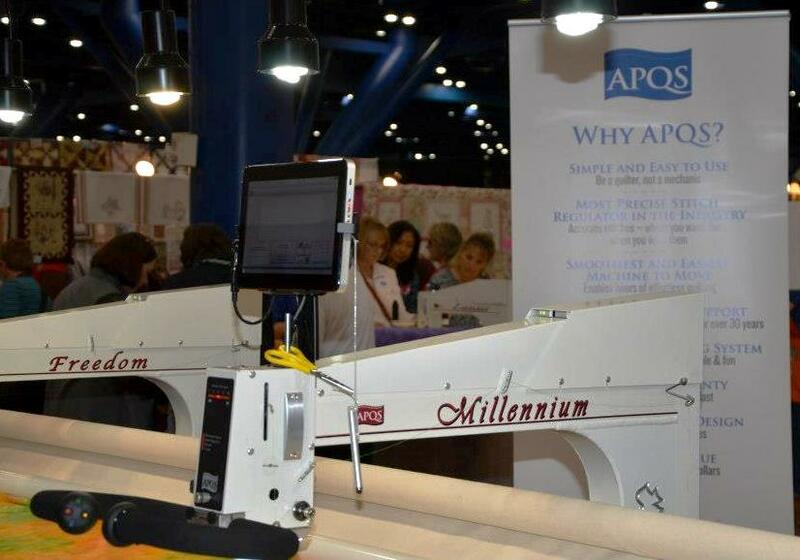 Quilters know that Houston have the biggest quilting show. I think it is great that the APQS machines are well presented in their booth. 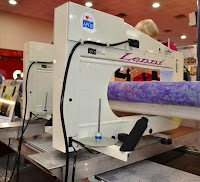 These demonstration machines from the show circuit were offered for sale at really good prices. Used at the show, taken back to the showroom and serviced again before being shipped to their owners. 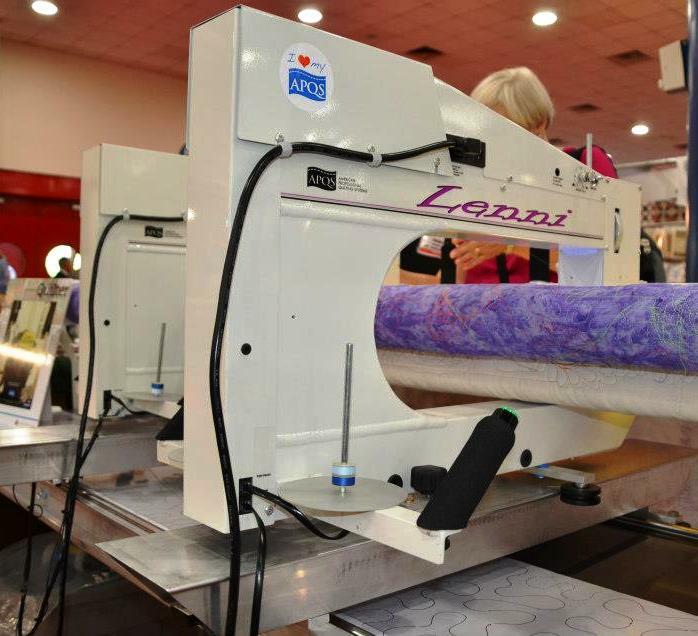 Lenni, Lucey, Freedom, George and a Millenium with Quilt Path, the new comuterised quilting system. Millenium and Freedom are both the same machine. 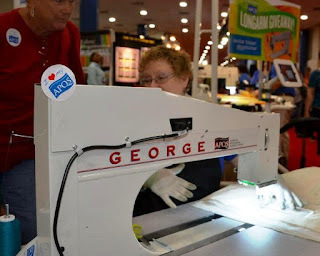 The Freedom does not have the automatic thread cutter so is a few pounds lighter. George lets you sit down, at the height suitable to you, as his table is fully height adjustable. 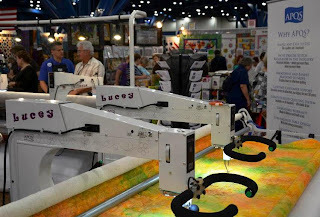 Many art quilters use him for their intricate award winning work. You can alos purchase another height adjustable table to put behind him or to raise and use as your cutting table. I am biased but I love my machine.. and it is great to see pictures of them displayed at Quilt Shows, with other people also enjoying them.